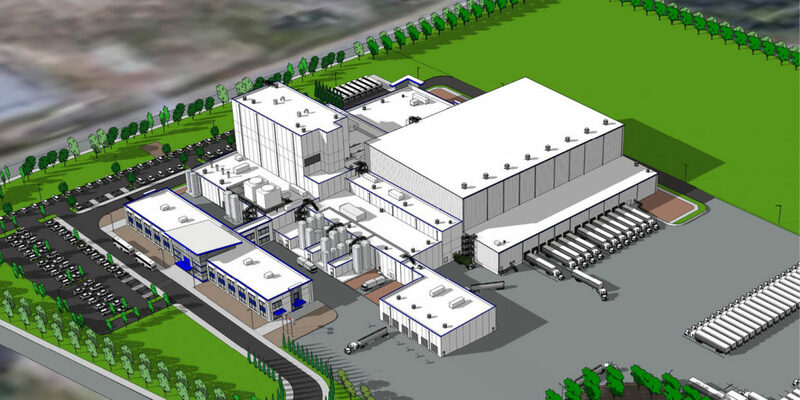 Initial facility includes a 90′ precast concrete tower housing the dryer, evaporator, and powder packaging. Cheese and whey processing are separated by a continuous utilidor. This is used for passage of all utility, electrical, and process piping, keeping process rooms as sanitary and as clean as possible in order to meet or exceed all industry standards. 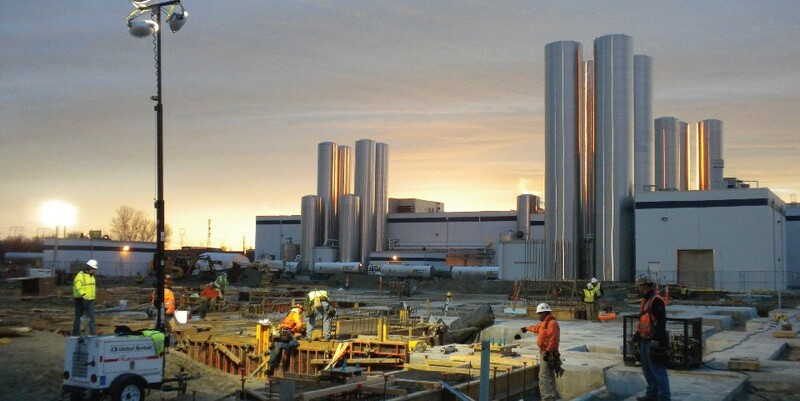 Recent expansion allows for the processing of an additional four million pounds of milk per day. This expansion includes almost 40,000 sq. ft. of cold storage warehousing.